Designed specially with glass windows for a mesmerizing view of Mussoorie/Doon Valley with lovely wooden floor. Luxuriously furnished and upholstered spacious room with Mordern Jacuzzi Bath System and Mini Soft Drinks cold bar. Luxury made affordable. The tastefully decorated Super Deluxe Rooms at the Silver Rock are ideal for families and groups. Some of the rooms in this category are Intra door communicating i.e. two rooms can be interconnected as well separated suiting the family needs. Its Bath Rooms are equipped with modern Sanitary fittings. It has Mini Soft Drink Bar along with other basic amenities. The floors of these rooms are all wooden. All the rooms offer an exotic snow covered Himalaya views with facades of nature. These rooms heighten the pleasure of holidaying. 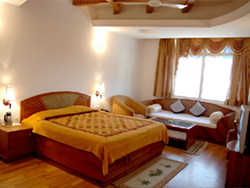 These are low budget rooms with a balcony which faces tress and natural beauty along with the views of Himalayas. These rooms are best suited for small families. All the rooms offers an exotic snow covered Himalaya views with facades of nature. 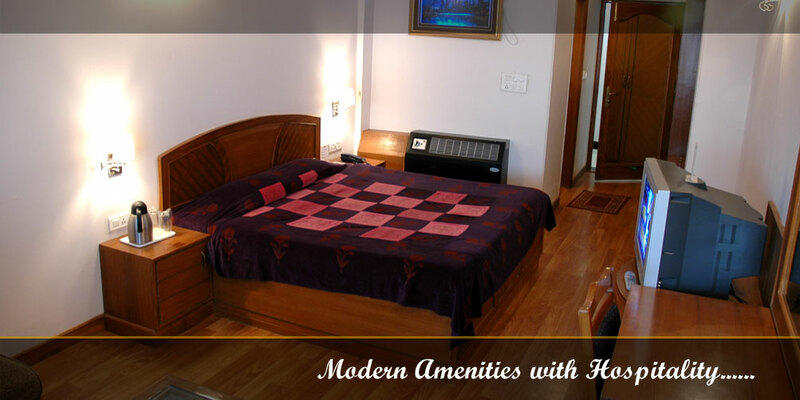 The rooms are equipped with all basic amenities besides wall to wall carpets.